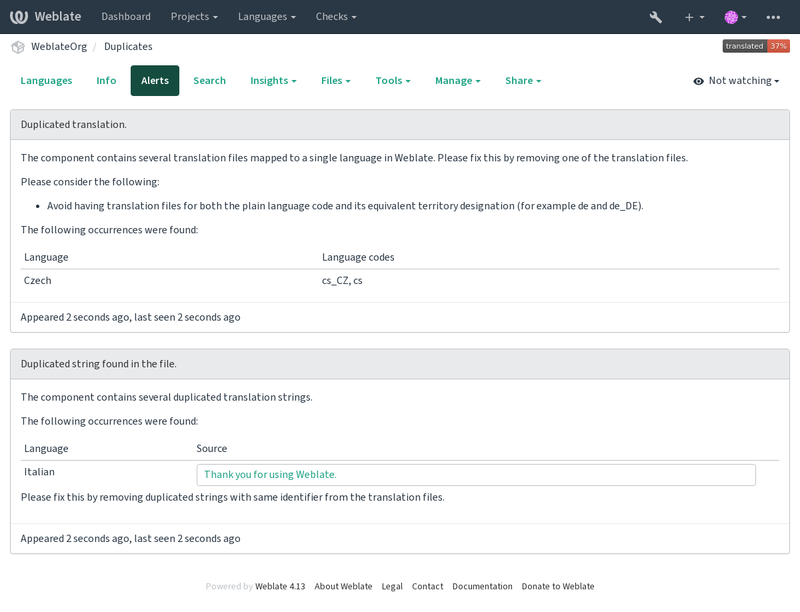 Shows errors in the Weblate configuration or the translation project for any given translation component. Guidance on how to address found issues is also offered. Alerts are listed on each respective component page as Alerts. If it is missing, the component clears all current checks. Alerts can not be ignored, but will disappear once the underlying problem has been fixed.